Plan a garden tour. There are some fabulous gardens on Kauai. Princeville Gardens, Na Aina Kai and Limahuli Gardens are all on the North Shore. Since the April 2018 floods, Limahuli Gardens has been closed due to the road closure, but as soon as the road opens up again the gardens will be ready for visitors. Each of these gardens is unique and offers something different. At Na Aina Kai, besides incredible park-like settings, you will have the pleasure of seeing many life-size bronze statues throughout the property. Click on each garden name for more information. Since you have the whole day and are heading toward the airport, another outstanding garden choice would be Allerton Gardens on the South Shore. Like Limahuli Gardens, this beautiful setting on the coast in Poipu is part of the National Tropical Botanical Gardens. Tour the garden to see towering rainforest trees with tall curving roots that grow near bronze mermaids, a grove of swaying golden bamboo, a cut-flower garden, and tropical fruit trees. 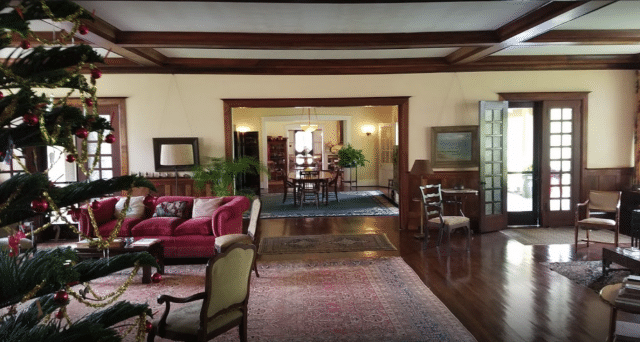 Allerton Garden also has a rich history as a Hollywood film location for many notable movies and TV shows. 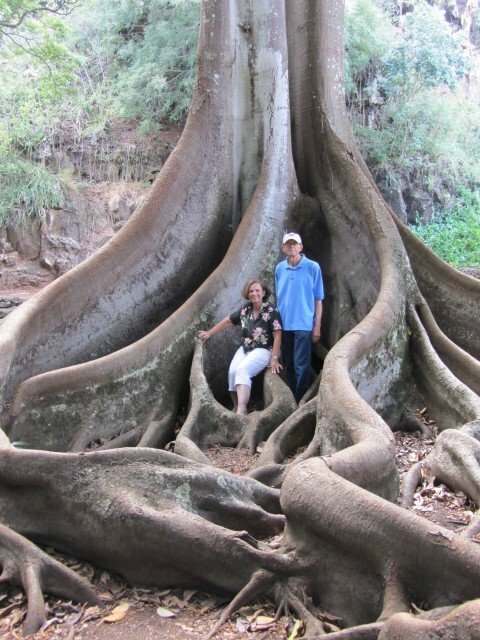 It is fun to sit for a photo in the towering roots of the famous Moreton Bay fig trees featured in blockbusters like Jurassic Park and Pirates of the Caribbean. Allerton Gardens has been named one of the ’50 Places of a Lifetime’ by National Geographic Traveler. Visit the Kauai Museum or Grove Farm. Both of these interesting places are in Lihue. 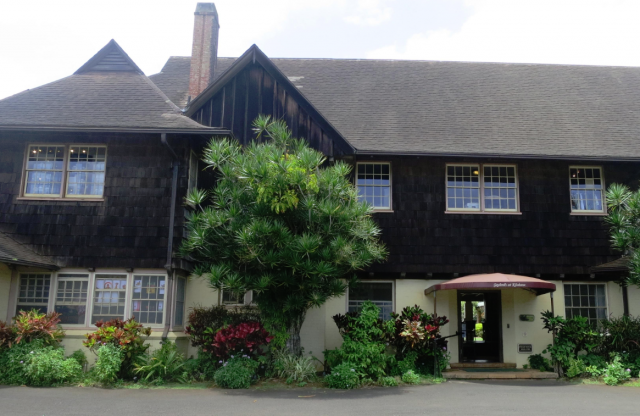 You may visit the Kauai Museum at any time they are open. For a Grove Farm tour you will need a reservation. 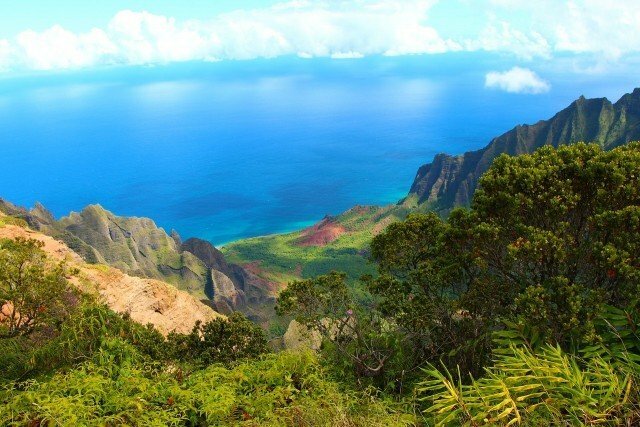 Both sites are filled with artifacts of Kauai’s history and culture. Knowledgeable docents will fill your ears with stories and legends representing the indigenous people and immigrants who have lived on the Garden Island for centuries. Over 150 films have been shot on the Garden Island spanning an eighty year period. In my movie blog I have listed 46 movie locations around Kauai. 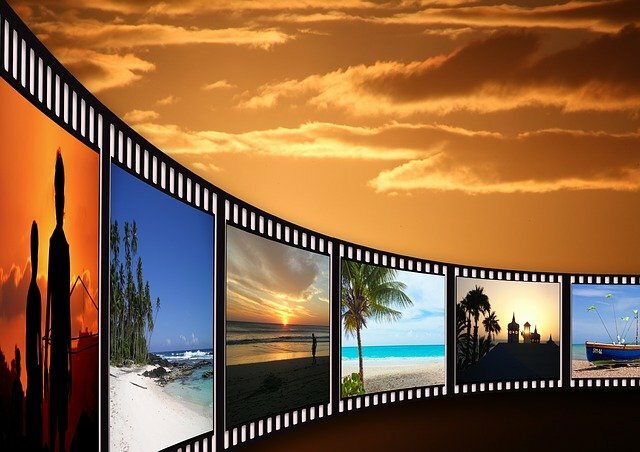 So, how about a personal movie location treasure hunt? How many big screen locations can you find? Take my list and start driving! Perhaps you will want to end your hunt at the Kukui Grove Cinemas and watch a new release on the big screen before your flight. Go on a bicycle ride on the East Side of the island. 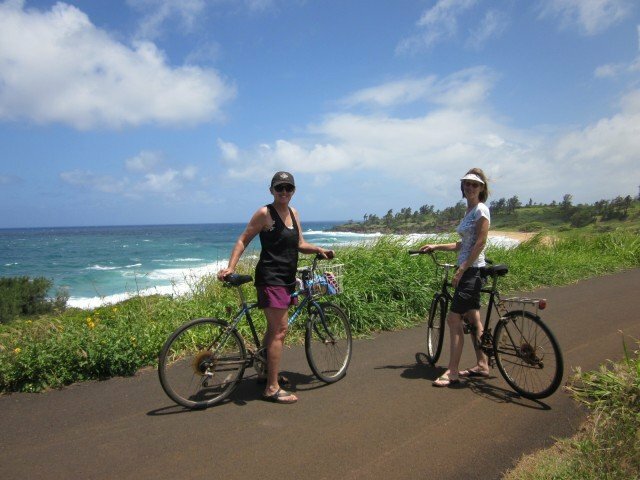 There are plenty of places to rent bikes and the Kapaa Coastal Bike Path will give you a bit of exercise without causing too much sweat. The path is mostly level (Yay!) and wide enough that passing other bicyclists is not a problem at all. There are covered picnic tables along the way where you may stop and have a bite to eat or simply watch the waves roll in. During the winter, when it is whale season, you may spot a blow or, if you are lucky, see a humpback whale breach right out of the water causing quite a splash. After returning the bikes there are so many places to eat in Kapaa. Try Cafe Hemingway, Street Burger, Coconut’s Fish Cafe, Hukilau or Lava Lava Beach Club located at the Kauai Shores Hotel where you may dine with your toes in the sand overlooking the Pacific. Your tummy will be happy as you board the flight. 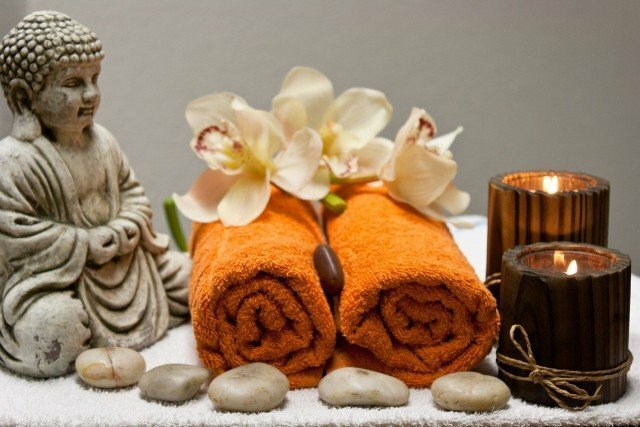 Have a spa day! There are many spas on the island of Kauai. 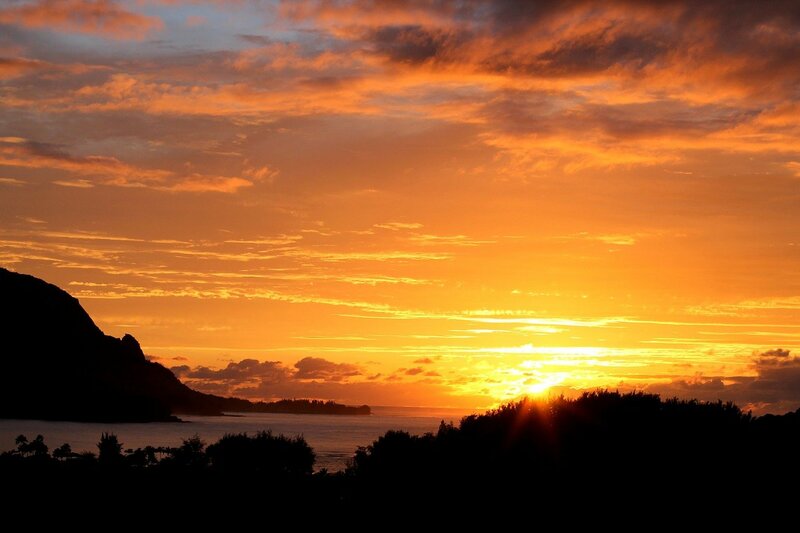 A day at the Halele’a Spa, located in the Princeville Resort, “revitalizes your every sense. Here, a menu of exotic treatments promise blissful diversions, enhanced by essences of local fruit and flora. Guests are attended to by a trained consultant, who will develop a customized wellness regime to ensure optimal healing and restoration while in residence, and well beyond.” Perhaps even over a LONG airplane ride. Of course, there are many other spas on Kauai. Spending a few hours at any of them sounds like a blissful way to end a vacation. And finally, you can always go shopping, assuming you still have room in your luggage. You know you are going to want to bring some goodies and souvenirs home with you. So, spend at least part of your last day going to one or more of the three major shopping areas on Kauai. The Coconut Marketplace is in Kapaa and it just went through a huge remodel. There are 32 shops and restaurants, along with hula shows at specific times. On Fridays at 5:00 catch some free live Hawaiian music with Larry Rivera. At The Shops At Kukuliulu in Poipu you will find plenty of classy stores and exquisite dining. There is a Living Foods Gourmet Market & Cafe which is a popular and thriving foodie hub. Longs Drugs has a huge section of candies, coffee and Hawaiian souvenirs. Check The Shops At Kukuliulu’s website for special art, music and food events. For quantity and best prices, of course, head to Costco and Walmart, both in Lihue, very close to the airport. So, there you have it. 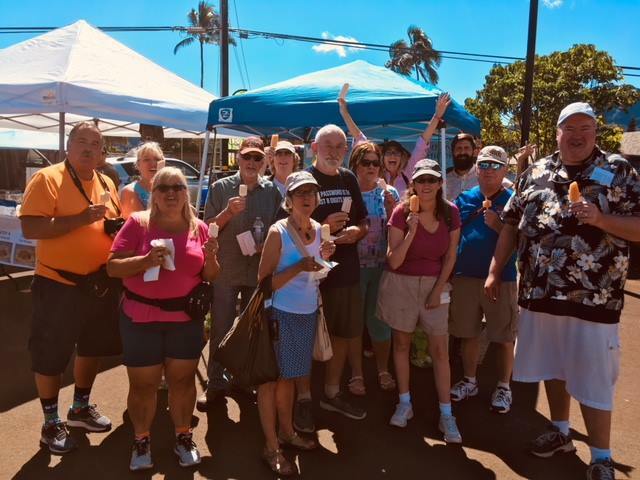 When your vacation rental or hotel check-out is early and your flight is late, make your last day on Kauai count by trying out one of these suggestions. One thing to keep in mind is that all of your luggage will be in the car with you so that may determine what you can or want to do. Whatever you decide, make sure you enjoy every minute because who knows when you will be back in Paradise again. For more of my blogs, go to the right-hand side of this page (full screen computers). For photos and information about Honu Point, our north shore vacation rental, go to any other page on this website. Mahalo!